Stone Houses, Glazed Jugs and Pilgrim Badges. 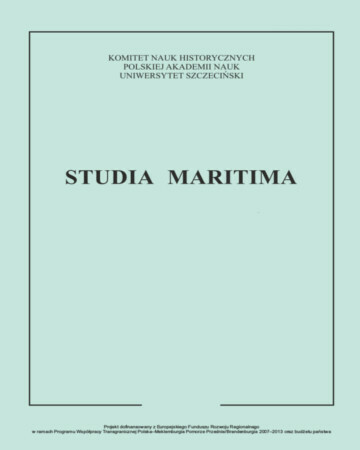 An Archeological Contribution to the Problem of the Cultural Unity of the Hanseatic Towns in the Baltic Region. The Problem of Piracy in the Relationship Between the Christians and Arabs from Northern Africa Between the 11th and 15th Centuries. The French Conquest of Algiers. Kirche in Norwegen in der Politik der Deutschen Besatzungsmacht und Norwegischer Faschisten. The British Government and the Naval Disarmament Conference in Geneva (1927). The Swedish Trade Union, Swedish Society and Polish Pro-independence Emigration in Sweden Toward the Independent Self-governing Trade Union Solidarity and the Democratic Opposition in the Polish People's Republic in the Years 1980-1990. VERTRETER DES BRITISCHEN KONSULARDIENSTES IN STETTIN IN DEN JAHREN 1946–1951. PARLIAMENTARY ELECTION HELD IN POLAND IN 2005 AND 2007 ACCORDING TO “THE GUARDIAN”.